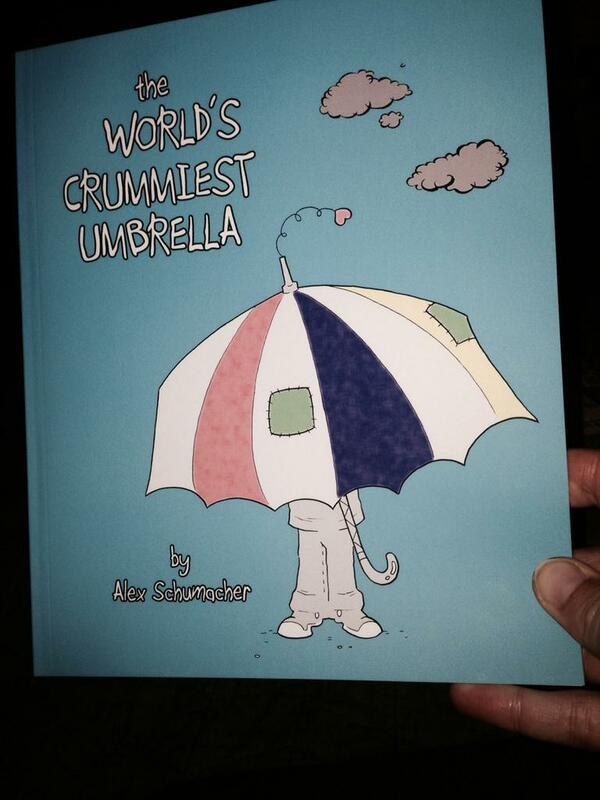 I couldn’t be more pleased to announce the official release of my first picture book, The World’s Crummiest Umbrella! This is a story I have wanted to share for some time and I am finally able to thanks to the fantastic folks over at Wandering in the Words Press. My editor, who also happens to own Wandering in the Words, Jennifer Chesak has been nothing short of amazing while working with me on this book and I can’t thank her enough for helping me to fulfill one of my dreams. The book proof live and in person! Wandering in the Words Press is thrilled to announce the release of The World’s Crummiest Umbrella by illustrator and author, Alex Schumacher. This delightful work of children’s fiction will please kids, and adults who are still kids at heart. It’s now available on Amazon. Once there was a boy who received the world’s crummiest umbrella. It was a gift from his mother, and he couldn’t believe she would do this to him. The umbrella was huge, multicolored and had a heart on a spring that popped out of the top. Ugh! The boy knows he’ll be the laughing stock of the entire school.But the boy soon learns that some gifts, even crummy ones, are not what they seem to be. So, now that I’ve jawed your ear off about it, go buy the book for the child in your life and/or read the story for yourself. Once you do, help me spread the word by sharing on Facebook, Twitter, Instagram, and any other social networking/media site that you can possibly think of. Be sure to leave a (hopefully favorable) review on the Amazon page as well. All of the above would be appreciated more than you know. 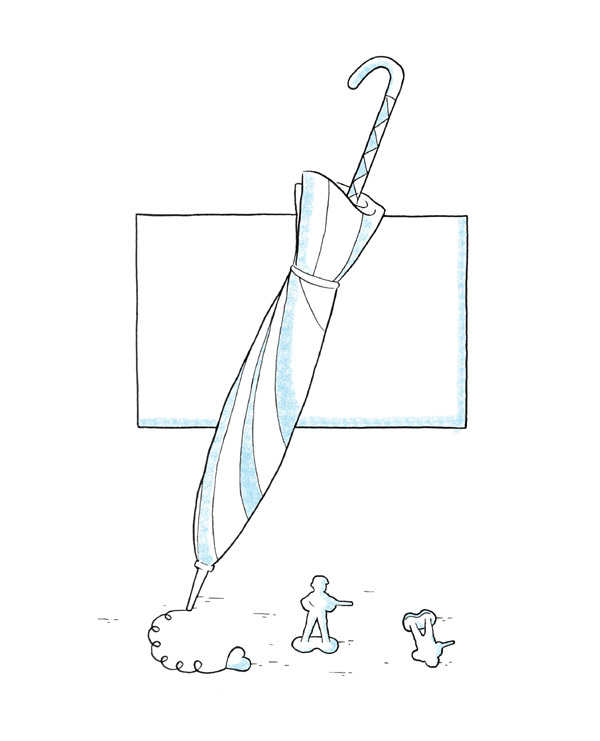 Thank you all and enjoy The World’s Crummiest Umbrella!